Italian tenor Enrico Caruso recorded his first sides for Victor Records. He waxed ten songs in the session … for a mere $4,000. On this day in 1906, the 4th most prolific recording artist of all time was born in suburban Milwaukee. She was known as “the incomparable Hildegarde,” a title bestowed on her by Walter Winchell. She appeared in cabarets & supper clubs up to 45 weeks a year. The woman born Hildegarde Loretta Sell was the “girl” on CBS Radio’s “Ninety-Nine Men & a Girl” (1939), the hostess on 1943’s “Beat the Band” musical quiz show, and “Hildegarde’s Raleigh Room” on NBC Radio. She also appeared in several TV specials, and continued performing to age 89. She died of natural causes July 29 2005 at age 99. On this day in 1939, Benny Goodman and his Orchestra recorded a future #1 hit, “And the Angels Sing”, for RCA Victor Records. The singer on that classic of the big band era, who went on to considerable fame on her own at Capitol Records, was Martha Tilton. On this day in 1940, Frank Sinatra and the Tommy Dorsey Orchestra recorded “Too Romantic” and “The Sky Fell Down” in Chicago, just five days after his first appearance with the band. On this day in 1941, “Downbeat” magazine reported that Glenn Miller had inked a new three-year contract with RCA Victor. The pact guaranteed Miller $750 a side, the fattest record deal signed to that time. On this day in 1949, RCA Victor countered Columbia Records‘ 33-1/3 long play phonograph disk with not only a smaller, 7-inch record (with a big hole in the center), but an entire phonograph playing system as well. The newfangled product, the 45-rpm, which started a revolution (especially with the new rock and roll music), soon made the 78-rpm record a blast from the past. On this day in 1951, the 1st telecast of an atomic explosion was aired, a US nuclear test at the Nevada Test Site. On this day in 1953, CBS-TV debuted a new sitcom “Private Secretary.” Ann Sothern played Susie McNamera, private secretary to New York talent agent, Peter Sands (played by Don Porter). Susie kept trying to improve Peter’s professional — and personal — life, screwing it up seriously in the process. The show aired weekly through four-and-a-half regular TV seasons on CBS (last show was September 10, 1957) and also on NBC-TV in the summers of 1953 and ’54. That same day in 1953, “General Electric Theater,” the Sunday evening anthology program later hosted by Ronald Reagan, debuted on CBS TV; along with the premiere of the historical reenactment show “You Are There, ” hosted by Walter Cronkite. 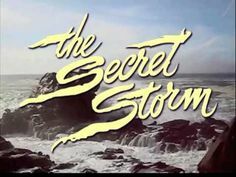 On this day in 1954, a television classic was born on CBS-TV, as the daytime drama “The Secret Storm” began what would become a 20-year run on the Tiffany network. Also this day in 1954, Big Joe Turner recorded the original version of “Shake, Rattle and Roll.” Bill Haley recorded a more popular version of the number five months later, with some of the original lyrics changed to tone down what were considered highly sexual implications. On this day in 1957, The Everly Brothers celebrated Don’s 20th birthday by signing their first recording contract with Archie Bleyer’s Cadence label. Phil Everly was 18 at the time. On this day in 1962, the first recording studio on Nashville’s Music Row, Owen Bradley’s Quonset Hut, (where some of the best recordings by Patsy Cline, Brenda Lee, Johnny Cash, Jerry Lee Lewis, Loretta Lynn etc. were produced), was sold to Columbia Records for $300,000. They renamed it Columbia Studio B. On this day in 1963, the 17 year old Neil Young performed his first professional date at a Winnipeg country club. 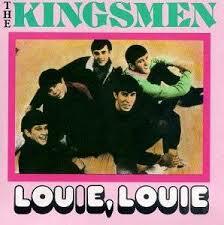 On this day in 1964, the governor of Indiana declared the song “Louie, Louie” by The Kingsmen to be pornographic, even though the average listener wasn’t able to decipher the lyrics. The governor asked the state broadcasters’ association to ban the record. Also this day in 1964, “I Want to Hold Your Hand” by the Beatles topped the Billbord pop singles chart and stayed there for 7 weeks. It was the start of fourteen straight weeks of #1 songs by the Beatles. On this day in 1965, the 26-year-old Canadian-born Peter Jennings became the anchor of ABC’s nightly news. Criticized as too young to carry sufficient gravitas Jennings left the anchor chair in 1968, only to return 15 years later. Also this day in 1965, James Brown recorded “Papa’s Got A Brand New Bag” in Charlotte, North Carolina. Considered today one of Brown’s signature songs, It would soon become his first Top 10 hit. On this day in 1966, Hollywood columnist & radio gossipper Hedda Hopper died of double pneumonia at age 75. She appeared in more than 100 films beginning in the silent era, before turning to dishing the celebrity dirt. On this day in 1967, at Abbey Road studios in London, The Beatles started work on a new track ‘Sgt. Pepper’s Lonely Hearts Club Band’. Also in 1967, Nancy Sinatra and her father Frank recorded “Somethin’ Stupid” for his Reprise label. It would become the first and only dad-and-daughter #1 hit. On this day in 1968, Elvis Presley celebrated the birth of his daughter, Lisa Marie. Lisa Marie married and divorced the “Gloved One”, Michael Jackson, in the ’90s. On this day in 1969, Canadian-born folksinger/songwriter Joni Mitchell made her debut at Carnegie Hall in New York City. 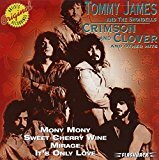 Also this day in 1969, the psychedelic song “Crimson and Clover” by Tommy James & the Shondells topped the charts and stayed there for 2 weeks. On this day in 1971, the soundtrack album from the movie, “Love Story”, starring Ryan O’Neal and Ali McGraw, with music by Frances Lai, was certified as a Gold Record. On this day in 1972, Paul McCartney & Wings released “Give Ireland Back to the Irish” in the UK. On this day in 1973, after three #1 R&B hits with Motown’s Soul label Gladys Knight and the Pips left for a more lucrative deal with Buddah Records. 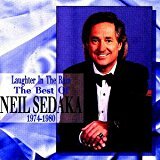 On this day in 1975, Neil Sedaka had his second Billboard No.1 single with ‘Laughter In The Rain’, more than 12 years after ‘Breaking Up Is Hard To Do’. Also in 1975, Roy Rogers‘ recording of “Hoppy, Gene & Me” peaked at #65 on the Billboard charts. It concerned the big three of Western stars, Hopalong Cassidy, Gene Autry & Rogers himself. Still this day in 1975, Lisa Marie Presley met her favorite singer, Elton John, for her seventh birthday. The meeting was a gift from her daddy Elvis. On this dy in 1976, the mini-series “Rich Man, Poor Man” (which introduced us to Nick Nolte) premiered on ABC TV. Also this day in 1976, the “Sonny and Cher Show”, a weekly variety hour, resumed on CBS TV despite the real life divorce of its two stars. On this day in 1977, lead singer Robert Plant‘s bout with tonsillitis forced Led Zeppelin to postpone their tour of North America. On this day in 1978, Dolly Parton‘s sixth #1 country hit, “Here You Come Again,” was certified to be a Gold Record. On this day in 1980, radio/TV host Jack Bailey, who presided over the daytime “sob show” Queen for a Day for 20 years, died of cancer at age 72. He also hosted the TV version of Truth or Consequences in the 1950’s. Also this day in 1980, the pioneering TV soap “Love of Life” ended a 28 year run on CBS. Also this day in 1980, the hour-long nightly mystery show Sears Radio Theater moved from CBS to the Mutual Broadcasting System. On this day in 1982, “Late Night With David Letterman” debuted on NBC-TV, in the hour following Johnny Carson’s “Tonight Show.” He moved to CBS in 1993, and after a total of 33 years in late night television, thus eclipsing the longevity record set by Carson, he left nightly TV last May. On this day in 1983, new channels First Choice, Superchannel and C-Channel were first made available on Canadian cable as pay TV was launched in this country. Also in 1983, the seventh studio album by Air Supply, “Now And Forever,” became the group’s third to be certified Platinum. On this day in 1985, Glenn Frey of The Eagles guested on an episode of NBC’s “Miami Vice” called “Smuggler’s Blues,” inspired by his hit song of the same name. On this day in 1986, classic Los Angeles 60’s rocker KHJ-AM changed its call letters to KRTH. On this day in 1988, The Cars announced they were breaking up after 12 years together. On this day in 1992, Nirvana‘s album, “Nevermind” went to No. 1 on the Billboard Album chart for the second time. Meantime, on that same day in 1992, George Michael and Elton John went to No.1 on the Billboard singles chart with ‘Don’t Let The Sun Go Down On Me’. All proceeds from the single went to Aids charities. On this day in 1993, T-V personality Regis Philbin returned to his morning talk show after undergoing heart surgery to have a blocked artery cleared. On this day in 1994, actor Olan Soule died of lung cancer at age 83. For 11 years he starred on CBS Radio’s daytime drama “Bachelor’s Children” and for 9 years played the male lead characters in radio plays presented on “First Nighter.” Later he made upwards of 200 guest appearances in TV series such as Dragnet, Wanted: Dead or Alive, Alfred Hitchcock Presents, Have Gun Will Travel, Andy Griffith Show, Perry Mason, Petticoat Junction & Bonanza. His career covered seven decades. On this day in 1996, both houses of the U.S. Congress overwhelmingly approved a rewrite of the 1934 Communications Act. Some highlights: it allowed local and long-distance telephone companies, as well as cable TV providers, to offer a mixture of goods and services; Deregulate cable TV rates; allowed consumers access to a greater variety of cable, telephone and other communications services; and, in one of the most controversial changes, it revised the National Multiple Radio Ownership Rule and Local Radio Ownership Rule, allowing most of the stations in the U.S. to be snatched up by a few corporations. 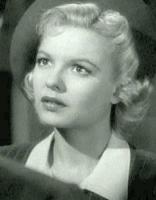 On this day in 1997, actress Marjorie Reynolds who played wife Peg on TV’s ‘The Life of Riley,’ died of heart failure at age 80. On this day in 1998, on his 70th birthday actor Stuart Whitman received a star on the Hollywood Walk of Fame. On this day in 1999, the Web site Lycos began a new search service offering easy access to a half-million high quality recordings. The search service found titles that use MP3, an easy-download technology. Such files alarmed the recording industry, since many of the songs were illegal copies made by those who sold or gave them away online. On this day in 2001, the ownership of Vancouver radio station CKST switched to Grand Slam, and the branding became all-sports Team 1040 on April 25. Today, under Bell Media ownership, it is TSN 1040. 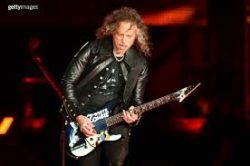 On this day in 2002, Kirk Hammett of Metallica was the first recipient of the annual Hall of Fame Award in “Guitar World” magazine. Also this day in 2002, Standard Radio sold Winnipeg’s CFWM-FM to CHUM, and it was relaunched as Bob-FM. Earlier the license had been one of the city’s best known AM stations: CKRC at 630 KHz. Again on this day in 2002, Nick Carter of the Backstreet Boys agreed to enter a counseling program and perform community service in order to get a charge of resisting a law enforcement officer withdrawn. Carter had been arrested at a Florida nightclub on January 2 of that year. On this day in 2004, Justin Timberlake ripped Janet Jackson‘s top during the Super Bowl halftime show and exposed her right breast on live TV. During that same show, Kid Rock wrapped himself in a poncho made of an American flag. 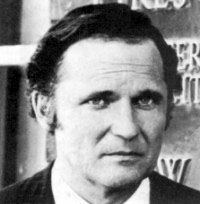 On this day in 2005, Saskatchewan-born actor John Vernon (below) died at age 72, of complications following heart surgery. In a 50-year-plus film career he starred in the 1960’s Wojeck, the CBC TV series about a crusading coroner that inspired a US counterpart Quincy ME. On this day in 2009, Bruce Springsteen provided the halftime entertainment at Super Bowl XLIII in Tampa Florida. On this day in 2010, some 80-odd artists gathered in a Los Angeles studio to record a remake of “We Are The World,” 25 years after the original. The next day Janet Jackson added her version of her late brother Michael’s part. The track had its debut at the opening of the Vancouver Olympics on February 12. On this day in 2012, Don Cornelius, creator and host of TV’s nationally syndicated “Soul Train,” the first dance show to cater to the musical tastes of black teenagers, died of a self-inflicted gunshot wound at age 75. On this day in 2013, Ed Koch, American congressman/New York Mayor (3 terms)/radio talk host, and from 1997 to ’99 the judge on TV’s People’s Court, died due to heart failure at age 88. On this day in 2014, a new report in Britain found that about two-thirds of people were left with ringing in their ears after a night out at a club, concert or pub. Campaign group ‘Action on Hearing Loss’ said the poll of 1,000 adults in the UK also showed a third would ignore the ‘safe level’ on their music players. On this day in 2015, the New England Patriots downed the Seattle Seahawks 28-24 in Super Bowl XLIX at Glendale Arizona. It was the most watched TV show of all time with 114.4 million viewers tuned into NBC. Katy Perry (pictured) was the star of the halftime show with Lenny Kravitz as a special added attraction. On this day in 2016, Def Leppard announced they had been forced to postpone the remaining dates for their winter U.S. tour due to frontman Joe Elliott throat issues. “The doctor basically said that if Joe continues to sing without resting his throat for a month he might do permanent damage,” tweeted drummer Rick Allen. On this day in 2017, retired Victoria radio sportscaster Chuck Mudrack died at age 82. He began his career at CJDC Dawson Creek in the early 60’s, advancing to first CKDA and eventually C-FAX Victoria. When he was replaced by Ken Dobson in 1975 he left the industry and found more secure work in government service. Also in 2017, UK actor & broadcaster Desmond Carrington, best known for his weekly evening show, The Music Goes Round, on BBC Radio 2, died at age 90. His show aired for 35 years, from 1981 until his final broadcast on 28 October 2016. On this day in 2018, Dennis Edwards, the lead singer of The Temptations whose gritty vocals brought urgency and drama to hits such as Papa Was a Rollin’ Stone and Cloud Nine, died following a stroke two days short of his 75th birthday. Actor Stuart Whitman (Cimarron Strip, Superboy) is 91. Former NBC & CBS newsman John Hart is 87. Singer Bob Shane of the Kingston Trio is 85. Actor-comedian Garrett Morris (2 Broke Girls, Jamie Foxx Show, Saturday Night Live) is 82. Singer Don Everly of The Everly Brothers is 82. Bluegrass singer Del McCoury is 80. Retired TV guest co-host Joy Philbin (Live with Regis & Kelly) is 78. Actor-writer-director Terry Jones (Monty Python) is 77. Actor Bart Braverman (Vega$, The New Odd Couple) is 73. Retired CHEK Victoria personality Gordie Tupper is 71. Comedienne/actress Brandis Kemp (Fridays, AfterMASH) is 68. Guitarist Mike Campbell of Tom Petty and the Heartbreakers is 65. Actor-writer-producer Billy Mumy (Babylon 5, Lost in Space) is 65. Singer Exene Cervenka of X is 63. Actor Linus Roache (Law & Order) is 55. Country keyboardist Dwayne Dupuy of Ricochet is 54. Actress Sherilyn Fenn (Rude Awakening, Twin Peaks, Gilmore Girls) is 54. Singer Lisa Marie Presley is 51. Comedian Pauly Shore is 51. Drummer Patrick Wilson of Weezer is 50. Actor Brian Krause (Charmed, Another World) is 50. Jazz musician Joshua Redman is 50. Actress Rebecca Creskoff (Hung, Quintuplets, Bates Motel) is 48. Actress/voicist Hynden Walch (Teen Titans, Adventure Time) is 48. Actor Michael C. Hall (Dexter, Six Feet Under) is 48. Rock musician Ron Welty is 48. Rapper Big Boi (Outkast) is 44. Model/actress Candace Smith (The Millionaire Matchmaker) is 42. Actress Ana Alexander (Chemistry) is 40. Actress Rutina Wesley (True Blood) is 40. Montreal-born actress Rachelle Lefevre (Under the Dome, A Gifted Man, Big Wolf on Campus) is 40. Country singer Julie Roberts is 40. Actor Jarrett Lennon (Grounded for Life, City Guys) is 37. Actress Abbi Jacbson (Broad City) is 35. Actor Justin Deeley (Drop Dead Diva, 90210) is 33. TV personality Lauren Conrad (The Hills, Laguna Beach, Fashion News Live) is 33. Martial artist Ronda Rousey (UFC Ultimate Insider, Battle of the Network Stars) is 32. Actress-singer Heather Morris (Glee) is 32. Actress Kelli Goss (The Young and the Restless) is 27. Actress Julia Garner (Ozark, The Americans) is 25. Singer Harry Styles of One Direction is 25. Actor Michael Garza (Wayward Pines) is 19. Actress Ashley Gerasimovich (The Detour) is 15.